I think, there is some confusion about the actual layout of bee4u USB-Stick. - Do you try to boot a bootsdi.img, which is located on the USB-stick in folder i386? - Or do you try to boot a bootsdi.img, which is located in folder i386 in LiveXP_RAM.iso on the USB-stick? At the moment Wonko and cdob work under different assumptions. Do you get a "Loading RAMDISK image..." without grub4dos --mem version? Do you get a "Loading RAMDISK image..." with grub4dos --mem version? There it is, post the winnt.sif. Which desktop and whitch laptop? OsLoadOptions="/fastdetect /minint /rdexportashd /rdimageoffset=32256 /rdpath=\i386\BootSDI.img"
Hradware: Desktop :Pentium DualCore E5200 @2.50GHz 1 GB Ram , Laptop Packard Bell Intel Core i3 380m 4GB DDR3 Ram. On VM works ok , On real pc Desktop with mem works but without mem it gives error 25 disk read error , on Laptop it works both ways. i get error after typing boot command " Setup is inspecting your computer 's hardware configuration... NTDETECT failed . @ Wonko the Sane got error " windows could not start due to an error while booting from a RAMDISK. windows failed to open the RAMDISK image. setup cannot continue .press any key to exit. Has anyone ever told you, that you have a very confusing way of giving information? BootPath="\i386\System32\" there shouldn't be a i386 folder in bootsdi.img, but a minint folder. Please check. btw. Why do you fiddle with all this by hand and didn't let LiveXp create a bootable USB stick for you? 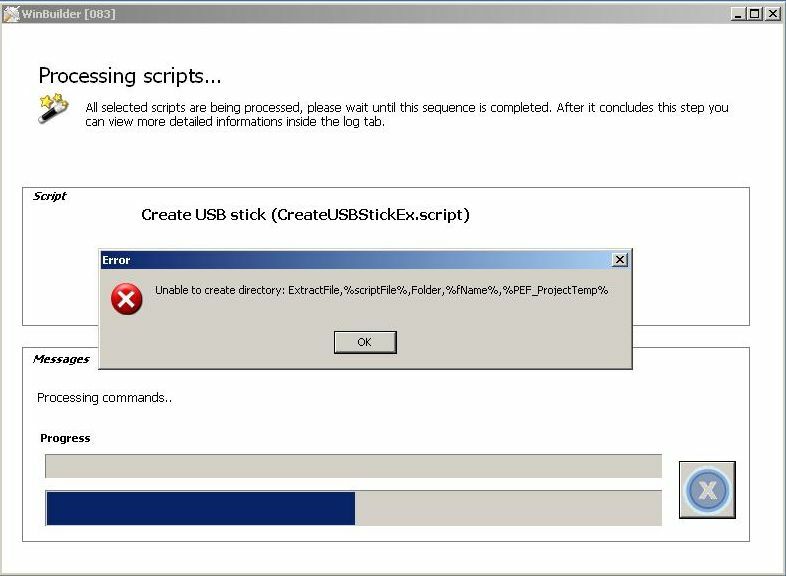 The root should be the root of the USB-Stick, where the winnt.sif file is. Which then tells setupldr everything it needs to know. Has abyone ever told you, that you have a very confusing way of giving information? 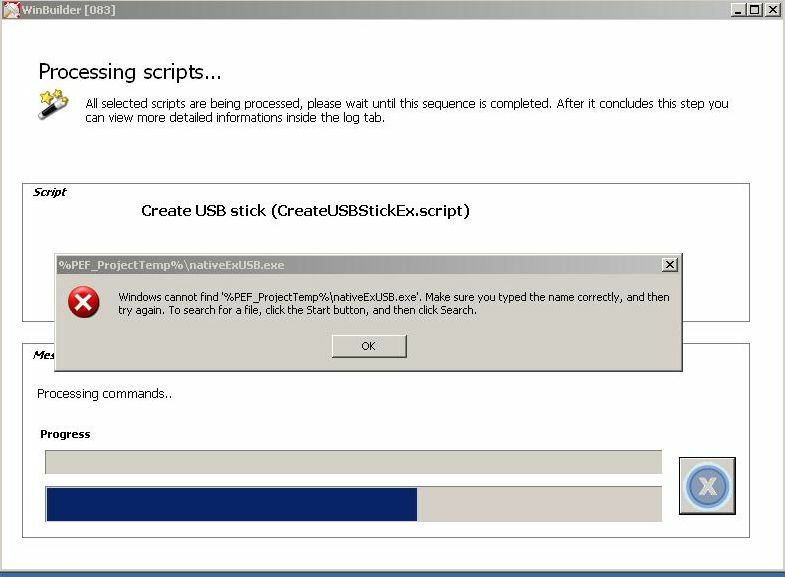 How to boot BOOTSDI.IMG of live xp on usb..? Normally Setupldr loads Windows on a CD /ISO from folder i386. But on HDD / UFD and RamDisk it loads Windows from minint. But i dont have minint folder in the bootsdi.img.. i386 folder is created by bootsdi script option in livexp..! Ok. Did some checking and it seems my memory is indeed a bit off, with bootSDI. OsLoadOptions="/noguiboot /fastdetect /minint /rdexportashd /rdpath=\i386\BootSDI.img"
It works just fine this way, though without g4d! Well, this way I make sure it roots on the right drive. My guess is that there are too many guesses, too little real experience on what that project/build is made and an ongoing mixup of information (mostly mixed up) from bee4u, who is not particularly accurate when reporting (and from too many people posting overlapping information and increasing - involuntarily and with all the best intentions - the mess). I suggested you (wrongly) a WINNT.SIF pointing to /rdpath=BootSDI.img did you had the error 14 with it or with the "right" one with /rdpath=\i386\BootSDI.img? Well it has been dead for about 6 years. So everyone is a bit sketchy on the details. any feed back about post no 30...? Setupldr.bin "Loading RAMDISK image..." print this message, if ram loading a image. And grub4dos --mem loads the image to ram too. Hence you use double RAM load. One RAM disk is obsolete. However, does it works at all machines? Then use RAM load always. Describe the hardware more detailed. Which Desktop do you use? Which manufacturer, modell, motherboard and BIOS version. Packard Bell builded more then one laptop, describe the hardware more detailed. Does grub4dos or setupldr.bin print this message? Which colours do you get on screen? I wonder if hardware limits both approaches? Which approach do you like to settle? LiveXP_RAM.iso or single files at USB disk? Boot LiveXP from USB disk at all machines, the approach is open? I thought that my post #37 provided the feedback. Let's forget temporarily about LiveXP (wrong name as it is a PE) and bootSDI (wrong name because it is a RAW image and NOT a SDI). The requisites are rather simple. The SETUPLDR.BIN may be renamed to something else, like NTLDR (though I personally strongly discourage this practice) and it may (on the contrary strongly suggested by me) edited to boot from \i386\ on all type of media (posted earlier link). There must be a WINNT.SIF. The contents of the WINNT.SIF need to respect the path of the image. Normally (but it is very possible that this can be changed) SETUPLDR.BIN, NTDETECT.COM and WINNT.SIF needs to be on ROOT of the boot device (hd like), as well as the actual RAW image, BOOTSDI.IMG. Then you will have ALL the data needed to perform your experiments, knowing what you are doing. when i put BootSDI.img out of i386 folder in the root of usb it too work pointing to /rdpath=BootSDI.img...both way worked. Now you can try putting "back" the SETUPLDR.BIN and NTDETECT.COM into the \i386\ directory. I seem to remember that it won't work (i.e. on hard disk-like media those two files, as well as WINNT.SIF need to be in ROOT, but as said I may well be wrong about that ). You can put the image *anywhere* as long as the right path is WINNT.SIF, of course. @ Wonko the Sane putting "back" the SETUPLDR.BIN and NTDETECT.COM into the \i386\ directory , it didnt work. you are right. chainloader /setupldr.bin error 15: file not found..! If the SETUPLDR:BIN is in in \I386\ OBVIOUSLY is not found in ROOT! to make use of the grub4dos autocompletion/file listing features. @ Wonko the Sane why this command didnt work just for the sake of knowing..
That is NOT a command, it is a set of commands assembled in a menu.lst entry, i.e. exactly what you have been suggested to NOT do because there is no way to know what doesn't work. In any case, besides the form (assembled in a menu.lst entry, they also make NO sense whatsoever and "didn't work" is not a description of what happened, and even if it was, without knowing the contents of BOOTSDI.IMG it's impossible to know. I would guess that there is no NTLDR in the root of the BOOTSDI.IMG. Yes, then it is confirmed that I remembered right, on hd-like media SETUPLDR.BIN and NTDETECT.COM need to be in root (while on CD-like they can be as well in \i386\). Maybe only NTDETECT.COM needs to be in root and SETUPLDR.BIN can be move to \i386\ but it makes anyway more sense to keep them "together". I put NTDETECT.COM in root and SETUPLDR.BIN in \i386 folder GUESS WHAT ....WORKING..TOOOOO.. THANK YOU...SIR....LONG LIVE Wonko the Sane. Do you like the current approach? One fixed name \winnt.sif is not flexible at a multi boot USB drive. Yes, there are fixed strings inside setupldr.bin, e.g. \ntdetect.com at a hard disk device. Strings can be changed and files renamed and relocated. That way, all LiveXP files are within one folder.